Children’s Hospice South West (CHSW) has recently received a donation of £500 which came about after Helston Grill decided it needed a lick of paint. Retired painter and decorator Mike Crocker was approached by Johnny from Helston Grill to paint the outside of the shop. Mike and friend Jamie discussed the job over a drink one Saturday night and agreed that they would do it but didn’t want paying for it, instead they would ask for a donation to be made to CHSW instead. Paint was generously donated by Leyland Paints at Treliske Industrial Estate and Mike, Jamie were joined by their friend Brian Winnie who all gave their time for free over the August Bank Holiday weekend to give the outside of Helston Grill a makeover. 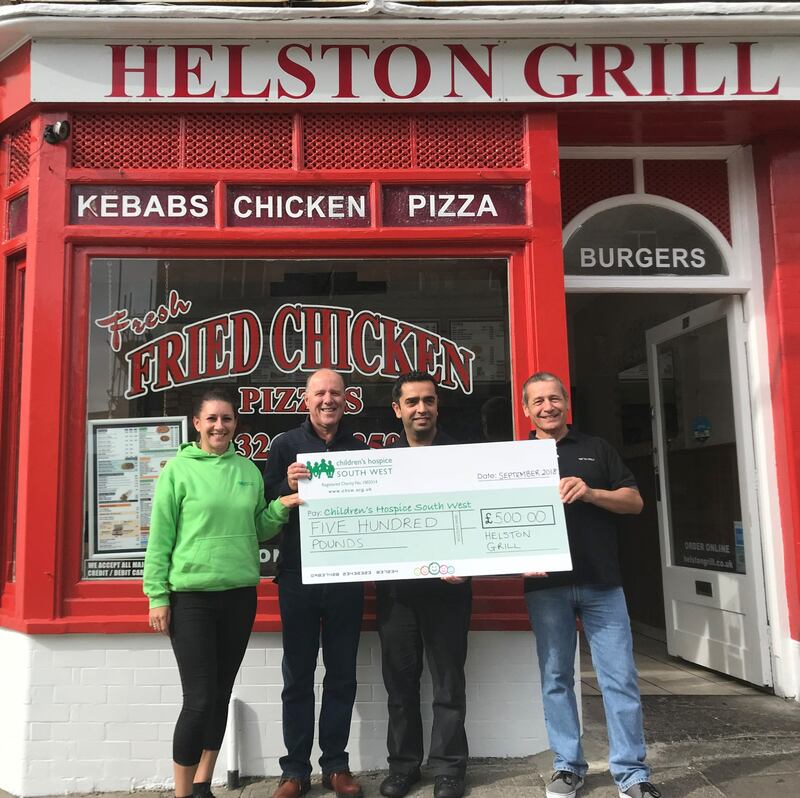 As the money was going to charity Johnny from Helston Grill decided that he would donate a generous £500 to CHSW which has three children’s hospices in the south west including Little Harbour in St Austell. Little Harbour supports over 120 local children with life limiting and life-threatening illnesses and their families. The hospice in St Austell offers families short breaks and respite allowing them to recharge their batteries and have precious time together as a family. Little Harbour also provides palliative care, end of life care and bereavement support. To find out how you could support the charity in raising the £3 million a year it needs to run why not click here or call Little Harbour on 01726 871800 to speak to a member of the Fundraising Team.